Calling all artists! We're looking for creative friends to help us set the vibes and bring the wild into this year's Wild Vibes Festival! Art installations, live art making. and performances, henna artists, hoola hoopers, fire spinners, face painters, creators, etc. -- we want you to be a part of the festival magic. Please note: we allow for a limited number of Artist vendors to set up their booth in the Dreamers Den. This year, the Dreamers Den will feature creative classes and workshops, if interested in presenting, please fill out the form below. If interested in selling/displaying your art, please fill out the form at the bottom. Do you fire spin? Live paint? 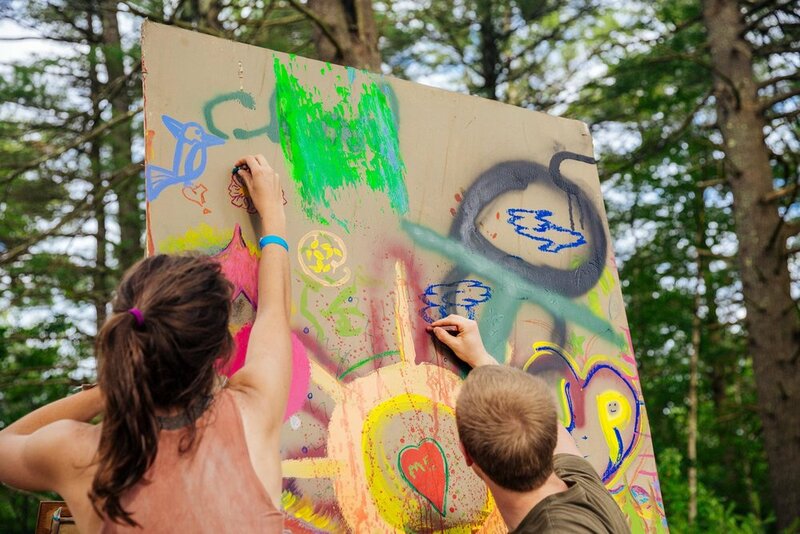 Do you want to contribute to the design of the Dreamers Den and art installations at the festival! Please let us know what you would love to do! Thank you for being a part of Wild Vibes! Please note, a $45.00 non-refundable fee is required to sell and host your art at this year's Wild Vibes Festival. It also gets you all access into enjoying all that the festival has to offer! By purchasing an artist pass, you agree that Wild Vibes Festival is not responsible for any lost or damaged goods.